What does it mean to properly socialize your puppy? Many people understand the general importance but few understand the specifics. And in this case, the devil really is in the details! Fully understanding this question is one of the best things you will ever do for your furry companions. The most important socialization period for dogs is from roughly 3 – 14 weeks of age. Breeders are responsible for a good portion of this so always make sure your breeder is informed and conscientious about puppy development. During this time the brain is like a sponge, literally soaking up experiences, and it is very important that puppy has a lot of positive associations with the world it will be living in as an adult. If not, it is possible life-long fears could develop. Play between puppies is critical during this time because it helps with physical development, frustration tolerance, and teaching each puppy “dog communication skills”. Singleton (litter of one) puppies are prone to a lot of behavioural issues because they miss out on interactions with litter-mates. In many standard sized litters, puppies are moved to their new home between 7 – 9 weeks and most don’t get into classes until they are 12 – 14 weeks old. That can be a huge gap without socialization. They can forget their manners and skills because a third of their life has passed already with few puppy interactions. Getting dogs into socialization classes before 10 weeks of age is ideal. You can find some great resources at the American Veterinary Society of Animal Behavior. y be genetically or socially inclined to shyness, time without contact with other puppies could lead to a life-long fear of other dogs. For dogs born to be social, (Mr. Friendly who has to say “hi” to all dogs and people), puppy classes are important for teaching impulse control and polite greeting skills. If you are not totally committed to teaching impulse control and manners daily on your own, puppy class is a great way to work in a group. Mr. Friendly should be working more on impulse control and owner focus, while a shyer puppy should be working on confidence and courage. Impulse control and manners need to be taught to all puppies from a very early stage. This is part of socialization too! Good leadership and consistency should be in place by as early as 12 weeks. But buyer beware, classes and socialization experiences vary greatly. What may seem like a great deal on the surface could be disastrous to your puppy’s well-being. New puppy owners should look for qualified professionals with a proven track record of helping puppies reach their maximum potential. Just as a lack of social experience can ruin a puppy, so can one or two bad socialization attempts. Owners should never leave the task of socializing their puppies to anyone else. Puppy interactions should be structured and supervised. The puppy should learn value for interacting with their owner as well as other puppies. Exposure to noises and experiences, as well as body handling (both with the owner and with other people) should be positive experiences. The puppy to puppy interactions should be structured and supervised by trainers who give care and attention to helping the session unfold well for all the puppies in the group. 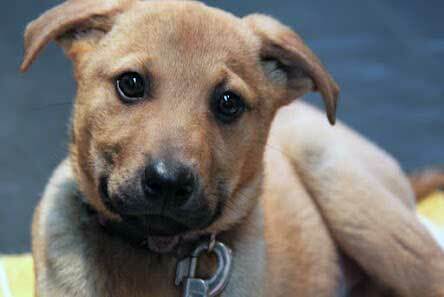 Some dogs need to be reinforced for brave behaviour while others need to be reinforced for gentleness or calmness. Good trainers will actually train during the play session or better yet, help the owners to see ideal interactions and actively train and shape how a puppy play session unfolds. Remember some of these puppies have been isolated for weeks and may need help acting appropriately. 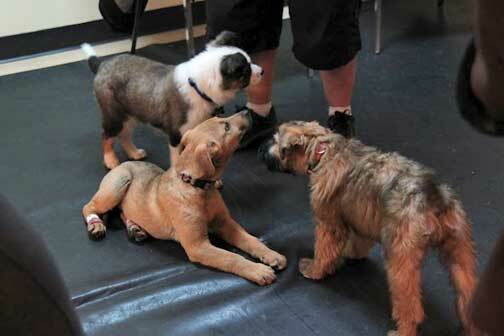 Good puppy socialization classes will never let the puppies work it out themselves. They are babies, some of whom may be shy and others who may be boisterous. Often it can go well, but when it doesn’t, good trainers will save the session every time! What goes on in these early play sessions is formative and it is absolutely possible to change the way your adult dog will be with other adult dogs. 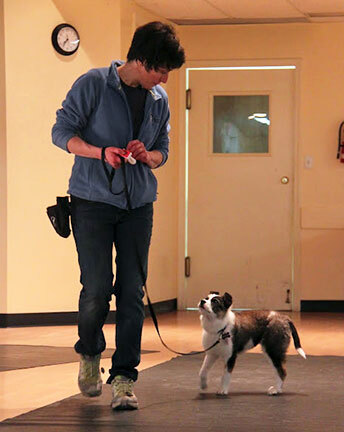 Puppy socialization classes should also offer time spent building focus and connection with the owners. There is value in puppy to puppy play, but if they do too much of this (especially for Mr. Friendly), where is the value being built for the puppies? With each other! Where do we need it? With the owners! Same species bonding is very powerful. Good classes will give owners the tools to build a connection with their dogs that can be stronger than the bonds to other dogs. Dogs need to understand very early on that their owners provide all the wonderful things in life and outgoing puppies should be put on a “Nothing in Life for Free” program which includes permission to go play and then returning to their owner when called. In good puppy socialization there should also be exposure to handling. 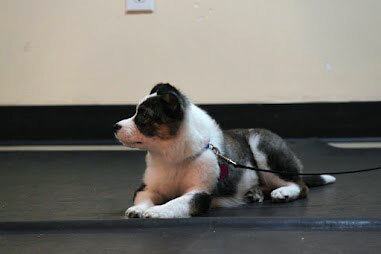 The gift of good instructors is that they will teach you how to work with any handling issues your puppy may have. Detailed guidelines about how to socialize your puppy out in the real world is a bonus. Fear is the number one cause of aggression and early effective experiences can almost eradicate the fear that underlies most issues with aggression. Don’t wait until your dog is 12 weeks old to sign up for classes – they can start as early as 8 – 10 weeks! And remember a good deal is one that provides both value and expertise. For puppy socialization classes look at the credentials of those running the classes. Have they been training for awhile? Are they certified? If so, does the certification program have a solid reputation and make sense for you and your puppy? This will ensure that your new furry family member gets the best education you can provide.